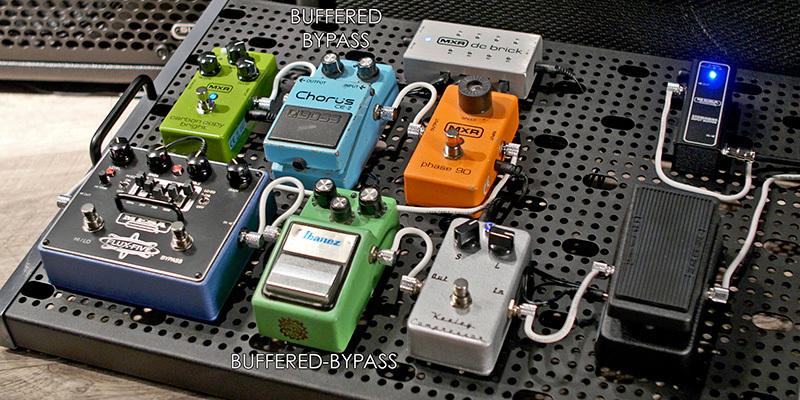 Utilizing good buffering in your signal chain is a lot like changing the strings on your instrument. The new-string clarity and detail… and the smoothness of the strings that makes it so much easier to play is something most guitarists and bassists look forward to. Great buffers offer a similar tone & feel improvement and our newest Buffering and Signal Management tools are easily some of the most dynamic and toneful buffers available today. 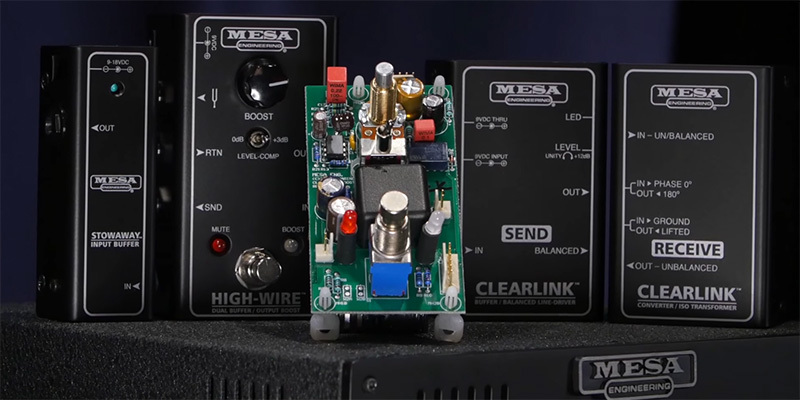 Perhaps most importantly, and unlike other buffers on the market, MESA Buffers restore the natural feel to your signal chain that you experience only when using a short cable plugged directly into your favorite tube amplifier. If I have a buffered-bypass pedal on my board, isn’t my signal already buffered? Short answer: Technically, yes… BUT: It’s the quality of the buffering that leads us to consider buffering in the first place. Any buffering in your signal chain can provide some improvement or mitigate some losses, but the components and circuit design of a great buffer (particularly the input characteristics) will better preserve the guitar’s natural resonant peak/frequency and ideal impedances throughout it’s path. It’s this attention to detail and quality that makes the difference between dedicated buffering and the buffering of buffered-bypass pedals. The components and designs used in buffered-bypass pedals are very unlikely to have been extensively developed to accurately maintain the same tone & feel that you’d get if you plugged directly into your amplifier. In fact, true-bypass pedal designs came into greater use and focus as a result of the degradation and losses people experienced from buffered-bypass designs! With most buffered-bypass pedals tending to be on the less expensive side, it’s a good bet that the buffering design and component quality in these circuits is not much more than the minimums of cost and quality needed to complete it, rather than trying to optimize it. This is where a dedicated input and output buffer, having been SPECIFICALLY designed for optimum tone & feel, will deliver superior frequency response, feel, and consistency - easily surpassing the buffering found in a buffered-bypass pedal designs. Also, if you have a buffered-bypass pedal in your signal chain, technically, your signal is buffered, but only AFTER the output of that buffered-bypass pedal. While some high frequency loss will be reduced from that pedal onward, a resonant peak/frequency shift and some high frequency loss has probably already occurred prior to reaching the buffered-bypass pedal. Beyond that initial loss before the buffered bypass output, other major factors that affect your tone will still not be addressed: Input buffering, capacitive and impedance loading and amplifier input impedance matching. Without a good buffer connection from your guitar’s output, your pickup’s resonant peak/frequency is likely to be compromised by your first pedal connection, whether it’s a buffered-bypass pedal or not. The losses and inconsistent tone from the less-than-ideal pickup loading continue down the line until the ‘buffering’ provided by the first buffered-bypass pedal in your signal chain is finally reached. So, rather than being immediately connected to an optimal load - arguably the most important point in the signal chain - your guitar’s high impedance signal is connected to a random variable which is only as good as the first buffered-bypass pedal in your signal chain. Once a guitar’s natural resonant peak/frequency has been shifted toward the low frequencies, and its high frequencies rolled off, it cannot be brought back. Why gamble? 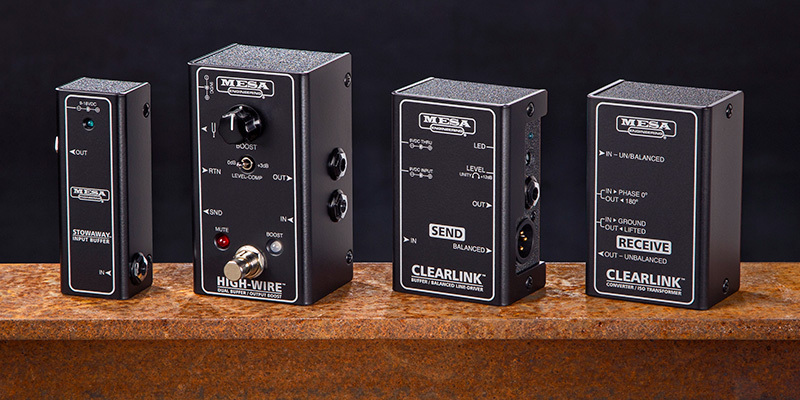 The next connection and tone consistency win-or-lose point is signal impedance matching and the optimization from the last output of your pedalboard to the input of your amplifier. It’s safe to say that the output impedance of buffered-bypass pedals - if it happens to be the last in your pedal chain - is rarely ideal or optimized to the degree that a good output buffer like the Highwire or Clearlink Send provides. Throw in some true-bypass pedals and a different circuit will be driving the long cable run back to the amplifier every time a pedal is turned on and off. 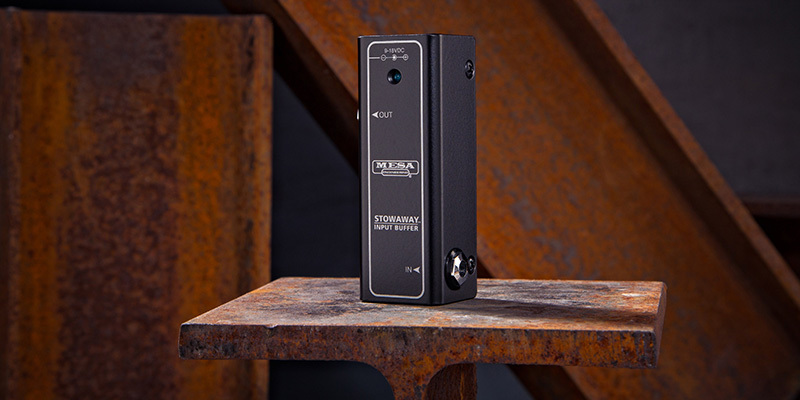 Additional tone and consistency is easily lost at this stage, and this is where the Highwire becomes the one box, end-to-end solution for ideal signal flow… not to mention it’s a killer boost pedal with buffered tuner/mute and adjustable output Line Driving. Some people will say that any level of buffering will prevent tone and frequency loss to a point where you can barely hear the difference. Beyond what’s audible, you’re almost guaranteed to not experience the best possible FEEL you can get without dedicated, well-designed buffering in your pedalboard signal chain. This is a big part of why many of the world’s premier rockstars have used buffers in their systems, some at great cost, yet you can have a high level of quality buffering in your system for less than the cost of most of your pedals. While lots of buffering products can prevent high frequency loss, you’ll find many people who still complain about the stiffness and sterility that many buffers impart on the feel. Which leads us to the Stowaway, Highwire, and Clearlink Send and Receive. Affordable and comprehensive buffering solutions that guarantee your tone and feel is absolutely the best it can be. With as much as you have invested in your rig, and more importantly, your TONE - the cost to guarantee optimal signal management is probably less than the next fancy pedal you’re G.A.S.ing for. 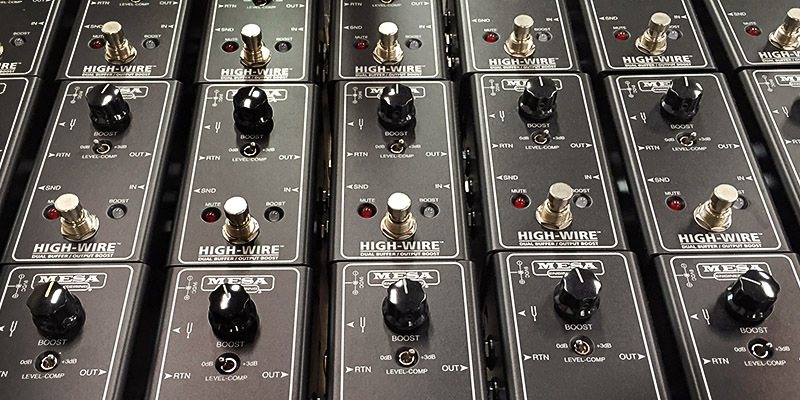 If you have any questions about optimizing your signal chain with Mesa Signal Management products, feel free to contact us via phone, email, social media or the comments below and we’ll be glad to help you get your rig and pedalboard sounding it’s absolute best. Thanks for your interest in MESA products.